Bitcoin Secret is an auto-trading robot that has recently been gaining popularity among crypto users. A question that is often is raised about robots of this kind is whether they are legit or scam. Finding fair information and unbiased reviews online is always a challenge and we are perfectly aware of that. You can find lots of reviews calling it a scam but many others referring to it as a profitable and sophisticated platform. That is why we decided to test and review the robot. We want to tell you what to expect from it and give you some tips to point you in the right directions. The first thing we would like you to know is that our test has revealed that Bitcoin secret is a scam. There are much better bots out there that you actually can make money on. Is Bitcoin Secret a scam? YES! 1). When we created an account on the platform, we were redirected to a completely different service where we found no crypto bots. 2). A Bitcoin Secret scam is very likely as the platform is full of unrealistic statements and there’s no automated cryptocurrency trading app after signing up. 3). We recommend using a trustworthy platform like CryptoSoft or Bitcoin Revolution. 4). You can create an account on CryptoSoft right away by clicking on this link or stay with us to read our step-by-step guide on how to use the service. What is Bitcoin Secret, and is it a scam? Bitcoin Secret is an automated crypto trading platform. Robots like this one are meant to help inexperienced users to make profits on this kind of market. They basically trade automatically with the funds you place into your account. So once you have placed funds into your account all you have to do is wait for the robot to make investments and then notify you as to whether or not you made profits. While some of these platforms really do allow you to make significant profits, Bitcoin Secret does not. Right from the start we could see a few signs suggesting that the platform may be a scam. One of the first things you see when you access the robot website is that the platform is claimed to be a service reserved to citizens of the country you are located in. That sounded a bit strange, so we decided to try and switch to a Swiss VPN and the website was claiming the same thing. Again, the exact same happened when we switched to a Danish VPN. That was a first red light. On the top right of the registration page, you will also be able to see how much other users are making in real time. That sounds wonderful, if only it were real. On the top left instead, the website claims that there is a limited number of free registrations available. That is just a strategy to push you to sign up quickly. There actually is no limit, because the same number remains if you access the platform at any point in time. Even if you change VPN, the number of “available free spots” does not change. These are only a few of the scammy aspects of the robot. Keep on reading to find out more about it. Another suspicious thing about this robot is that the identity of the person who created it remains unknown. There is no sign of a name online or on the official Bitcoin Secret website. That makes us wonder why the developer of such a “sophisticated” robot would want to hide their identity. The only reasonable explanation we can think of is that they do not want to be held accountable for having created a robot designed to take your money and tricking you into thinking that you are going to make great profits when you are actually not going to. There are several reasons why Bitcoin Secret is a scam. We came up with a list of four main aspects of the platform that prove it. First of all, it claims to be accurate 99.4% of the time. As we said before, we have tested the platform and to do that we deposited $250, the minimum amount required to start trading. We had no returns at all. Our money was gone within minutes. We had tried the demo account before and it seemed like the software really did guarantee profits. As soon as we started trading with real money though, we started losing funds on every single trade. While browsing the website, we also ran into a section dedicated to the user testimonials. There are a few pictures of different people and on each picture is also stated the profit that each of the users made by trading on Bitcoin Secret. When clicking on each of the pictures, their statements about their trading experience also appear. However, we noticed that all the statements are exactly the same. They all go: “I finally know what it’s like to live the dream. I no longer feel like I’m on the outside looking in while everyone else has all the fun. The Bitcoin Formula has allowed me to retire early and live the 1% lifestyle”. The website designers did not even make the effort of thinking about different sentences to pass off as real user reviews! 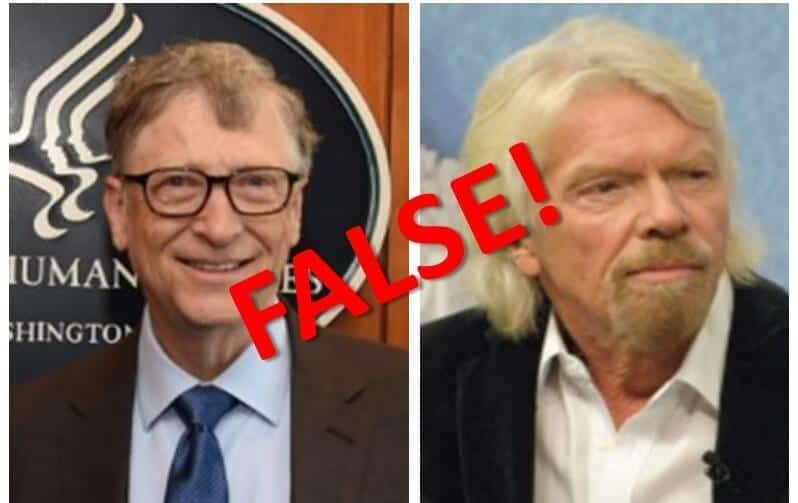 The Bitcoin Secret website mentions Bill Gates and Richard Branson, making it seem like the two celebrities are supporting the platform. Microsoft’s CEO and the Virgin Group owner have never expressed support for Bitcoin Secret. Both have actually warned against scammers using their names to advertise their products. Bitcoin Secret clearly tried to use the images of the two celebrities to promote the platform just to try and get a few more users to sign up on it. Do not fall for it. Bitcoin Secret states that users can expect an average profit of at least $1,300. Similar profits are promised on a few reliable robots such as Bitcoin Loophole. While on Bitcoin Loophole you can make this much money if you increase your investment amounts and follow a few simple tips, on Bitcoin Secret there is no way you will see such high returns. In fact, there is no way you will see your money ever again. Signing up is pretty simple like it is for any other of our reliable robot. You are only required to type in your full name, email address, password and phone number. At that point, you will be able to access the trading platform. You will be asked whether you want to start trading or try the demo version first. When we test platforms, we always start from demo mode and that is what we suggest new users to do as well. Trading with demo is fairly easy as well but it is also where the problems begin. The software claims to have an accuracy of almost 100% and it seems like it when trading in demo mode. All or almost all of the trades placed while auto-trading are successful. That is a strategy to convince you to place real funds into your account. For the sake of the test, that is what we did. 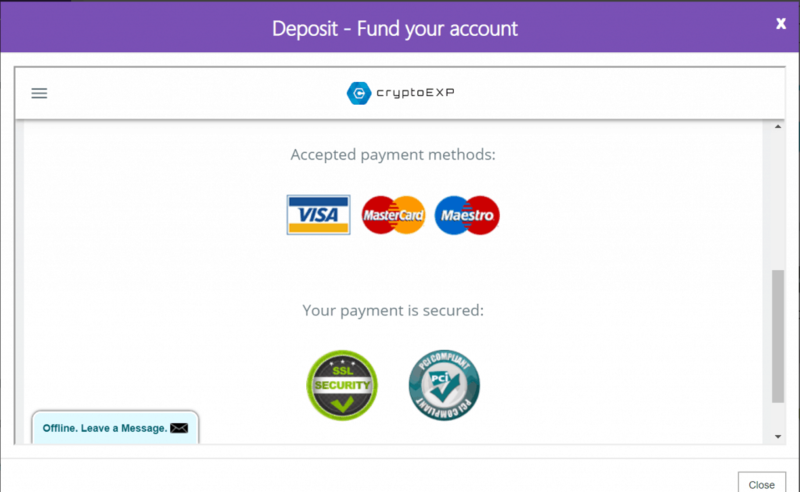 On the deposit webpage, you will be presented with the payment methods available. While reliable robots usually offer a great variety of payment options in an attempt to satisfy customer needs, Bitcoin Secret only offers Credit and Debit cards. In the past, we have reviewed robots offering options such as PayPal, Bitcoin, Skrill, WebPay and many more. The fact that Bitcoin secret offers none of these means that there is no interest in making sure users have all the necessary resources to benefit from the trading experience. The minimum required to start trading is $250 which is a reasonable amount. To test the robot, that is how much we deposited. Once we began trading in auto-trading mode we realised that Bitcoin Secret is a complete scam. Within minutes, we saw all of our funds disappear. Not even one trade placed by the software was successful. Can you make money with Bitcoin Secret? The answer is NO. The software promises an accuracy of 99.4%. That means that out of 1000 trades, 994 will be profitable. This is justified by saying that Bitcoin Secret is 0.01 seconds ahead of the market. If that were true, it would of course be possible to make $1,300 a day like the robot claims you will. Unfortunately though, that is not the case. These are only some of the lies circulating on the website. The trading platform is designed to make you lose money so please make sure you do not waste your money on it and that you invest on reliable platforms such as Bitcoin Loophole. The only people who are making money on the platform are its developers. They require you to deposit funds on their software but then they channel your funds through unreliable and unregulated brokers such as Crypto All Day. Basically, how it works is that Bitcoin Secret is linked to online brokers that support trades, so whenever you click on auto-trade your funds are invested on assets through a broker. That is how it works with most auto-trading robots but with this one you will never see your money again. 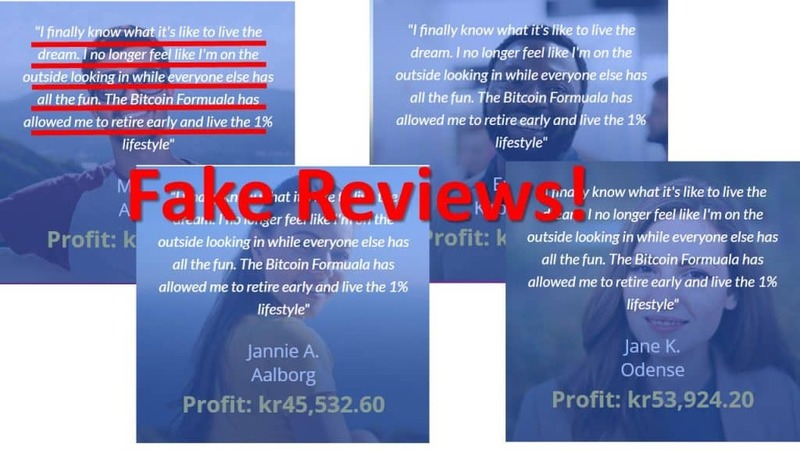 If you have a look at online user reviews that are not on the official website, you will find people calling Bitcoin Secret a scam that stole all of their funds and never returned their money. The robot should not be trusted. There are some really reliable and accurate auto-trading robots out there. If we have convinced you that Bitcoin Secret is not one of them, then feel free to have a look at our bitcoin robot page to what we think are the best crypto bots available right now. Forget about Bitcoin Secret! It is important for us that you find the trading platform that you are looking for. We have tested a lot of them and two of the most profitable and reliable ones that we found are Bitcoin Code and Cryptosoft. They are much more realistic about their accuracy rates and we certainly have registered significant profits whilst trading on the platforms. Bitcoin Code is currently one of the most popular crypto trading robots available. The Internet is full of contrasting information when it comes to this robot. That is why we decided to test it. The robot has an accuracy rate of almost 100%. The trading platform is suitable for all kinds of users. Check out our review if you wish to know more. Another great platform is CryptoSoft. The trading platform is suitable for all kinds of users. Beginners find it easy enough to understand despite not knowing much about the world of crypto. You can earn up to $1,500 a day. The robot has an accuracy rate of around 90%. Take a look at out review to find out the details. Of course, you do not have to sign up to these ones in particular, even though we believe that would be a good idea as we know for a fact that they are profitable robots. You can trade on whatever platform you want, but watch out for scams. We put together a brief list of tips to follow to help you know when a robot is legit and when it is a scam. Look for the creator’s identity. A good way to find out if a robot is scam or not is to look for information on the identity of the software’s creator. If the robot is reliable you will probably find information. If it is not, then whoever created it has more of an interest in remaining anonymous, henace why you cannot find information on them. Try the demo account first. Another clever way to find out if the robot you are interested in is a scam is by trying the demo account first. Most of the time, you will be able to try it before you place funds into your account. That will give you the possibility to see how the platform works and whether it is profitable. If you like how it works and you see that it has potential to make you earn money, then go ahead and deposit funds in it. Look for good review pages. Make sure you look for a good review page that you trust before even starting to look for the auto-trading robot you want to trade on. Review pages have contrasting opinions on many robots, so find one that you can trust and that you can refer to for any information you may be looking for when it comes to cryptocurrencies. Check for risk disclaimers. Most of the scams usually try to hide the risks linked to crypto trading. It is a strategy to get users to sign up without questioning the validity of the statements made on the website. If you are on a scam website, you probably will not find any risk disclaimers. If you are on a reliable robot, you will be able to find risk disclaimers. Legit robots usually try to be as transparent as possible with users. The Verdict: Bitcoin Secret is a scam, do not use it! We have had a careful look at the website and tested the trading platform of the automated crypto trading bot. The Bitcoin Secret website is full of false, incorrect, and unrealistic statements and promises. The trading platform is also designed to take your money so please do not invest on this robot. There are other platforms that we believe to be highly profitable and safe to trade on. These are CryptoSoft and Bitcoin Code. Take a look at our reviews of the robots to make up your mind about them. We believe they are trustworthy, but of course you have to be the judge of that. How to trade cryptocurrency via Bitcoin Secret? As the Bitcoin Secret app is fake and operated by scammers, you can’t trade coins via the platform’s crypto robots. After signing up for a legit algo coin trading app, you need to deposit funds first. After you are ready with that, you can proceed with setting up your bots. After that, you only need to monitor the performance of the bots. To test the platform without any risks, we advise you to use the demo trading app (if the platform you are using has one) before funding your account. No, they can’t. While there are plenty of expert traders and investors in the crypto space, no one can provide an accurate Bitcoin price prediction, especially in the short-term. If you see any of the automated cryptocurrency trading platforms – or any other crypto project – claiming that its solution can provide a precise Bitcoin price prediction, leave the site immediately. The operators of the service are either exaggerating or are running a scam/fake platform. No problem! Everyone has his or her taste, preferences, and interests. We have tested many services; we can’t choose you the best crypto wallet as we couldn’t select a winner from all the great apps we have tested. So, instead of writing the name of the best crypto wallet, we have compiled a list of the best wallet app solutions. But before that, we think it’s time to emphasize the security of your coins. As you are holding (or planning to hold) digital currency in a wallet, the coins have to be kept on a safe wallet as hackers are highly targeting the crypto space. But don’t worry: if you choose a secure wallet, you won’t have any problems with attackers. Our selection of the best crypto wallet solutions starts with hardware wallets. These solutions offer the highest security for the users as the wallets come with a hardware device. Every time you seek to log into your wallet or send outgoing transfers, you need to verify both activities with a PIN via the hardware device. This guarantees you a high level of security. The hacker has to steal your hardware device, acquire your PIN, and breach the software side of the hardware wallet in order to succeed. It sounds like a tough job, doesn’t it? Because it is. We can recommend three trusted hardware wallet brands: Ledger, Trezor, and KeepKey. All of them has their pros and cons compared to each other, so it is advised to check out all of them thoroughly before choosing one of the options. If you prefer a software wallet instead, we recommend checking out the eToro Wallet, Hodly, and/or Exodus. In case you are more interested in buying Bitcoin than using a crypto robot app, our top pick would be eToro for the best cryptocurrency trading platform. eToro is a broker – specializing mostly in CFDs – with over 12 years of experience. With a regulated service, the broker offers outright cryptocurrency trading. It means that you actually own the coins you are trading. And it also means that your coins will be held on a wallet. If you are afraid of hacker attacks, you shouldn’t worry as eToro is a regulated company that uses high-grade security to store your digital assets safe. According to our guide on how to buy Bitcoin, we have rated (in addition to eToro) Plus500, Binance, and Changelly as the best cryptocurrency trading platforms to buy BTC at. While the first service offers CFD trading, Binance and Changelly are cryptocurrency exchanges where you are the actual owner of the coins you buy. I tried the bitcoin secret, it is a total scam! The bitcoin secret is a scam no doubt because even in their own so called site there is nothing that resembles a robot that can actually help to trade on it because you will automatically be redirected to another site entirely when you log into their site so what is the gain if it all. I can assure you that if you look for better and legit robots you will be glad to have used them rather than the bitcoin secret. Do not invest your money on this site as it is not even reachable. Is it possible to withdraw my money? I already invested and I am just seeing this. It am very surprised that I fell for this. I was really happy when I saw the testimonials and all the assurance on the page just to get myself scammed. During the past few weeks, I was chanced to access the site and I made a $300 deposit on platform just to realise that I couldn’t make what they said I would. If I was to look for another bitcoin robot, which one would you recommend over bitcoin secret? I need something legitimate this time. Hello Will, we are sorry to hear about your bad experience. We have reviewed a number of bitcoin robots and found out that Bitcoin Code and Bitcoin Revolution are completely legit and generate high returns.